So I’ve only been able to sink a few hours into Warframe so far (*shakes fist at real life*) but it has been surprisingly fun. I carefully evaluate a game to determine if it is worth the time and money invested. For Warframe, the money – at least for now – is a no-brainer. It’s free. But more on that later. Time is a far stickier problem. It’s only been a few hours with my space ninja (aka Tenno) but I haven’t regretted the time I’ve spent in there yet. In fact, I’m quite looking forward to spending some more time with him. There’s a number of mechanics I wish to explore, and goals I wish to achieve. These are signs of a successful game if it can snare you like that in the first couple of hours. 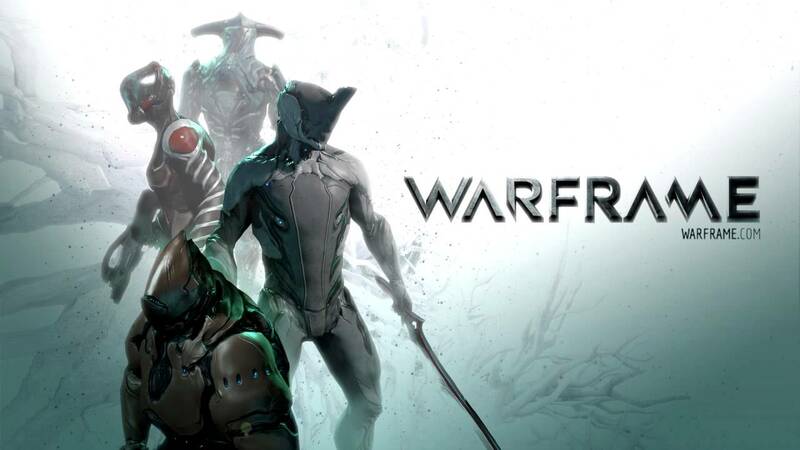 So what is Warframe, exactly? If you ever played Hellgate: London, you’ll be in familiar territory. Not that Hellgate: London was a critical success, but in terms of goals, style, and genre they both line up. 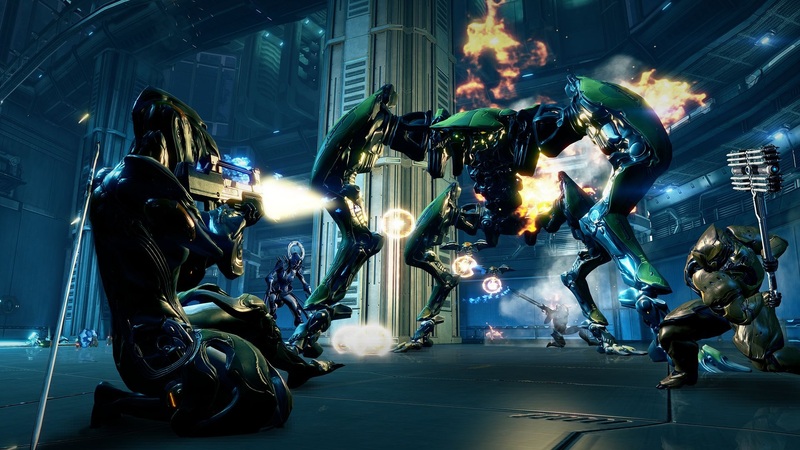 Warframe could succeed where Hellgate: London did not. It’s a new, always-online, micro-transactiony world, afterall. If you haven’t played Hellgate: London then perhaps you have played Diablo, Path of Exile, Torchlight, or any number of the other action RPGs that are around the place. It’s basically a third-person action RPG. It has it’s own wrinkles, of course, but just so we’re on the same page: It’s light on the story with fast action and reams and reams of easy-to-defeat bad guys just waiting to be slaughtered. A basic play session consists of loading up a mission. Your Warframe (i.e. class) drops into a map. There is a simple objective such as Kill all enemies or Capture an enemy (i.e. kill them, then click on them), etc. You run through the level shooting at the baddies with your primary gun, your pistol, or slashing them with your melee weapon. Or some combination of weapons. You get a few abilities – like an ability to fly forward for a long dash, slicing anyone in your path in twain. Random items, powerups and ammo will drop and after a short while you’ll be finished. You collect a reward, level up a bit, rinse and repeat. The combat is fast and feels solid, which helps a lot. It has a bit of an anime feel about it with the over-the-top moves, armours and weapons. It would be easy for a game like this to suffer, as Hellgate: London did, from “floaty” combat that lacks the punch the cool weapons and armour should really deliver but it avoided those pitfalls. There are also tricky movement abilities thrown in for good measure, such as the ability to wall run, high jumps, rolls, vaults over obstacles, and sliding. For the most part, this is kind of gimmicky but it has some minor uses from time to time. Many of the maps have multiple levels with catwalks and large obstacles which means an ability that allows you to jump or teleport at least gets you over to there, where the bad guys are, noticeably faster. By the same token, leaping from a high catwalk and firing as you fall is very cool and has the practical benefit of a few seconds more DPS-time than you would otherwise get without such a mechanic. A small, flashy benefit but not too significant. 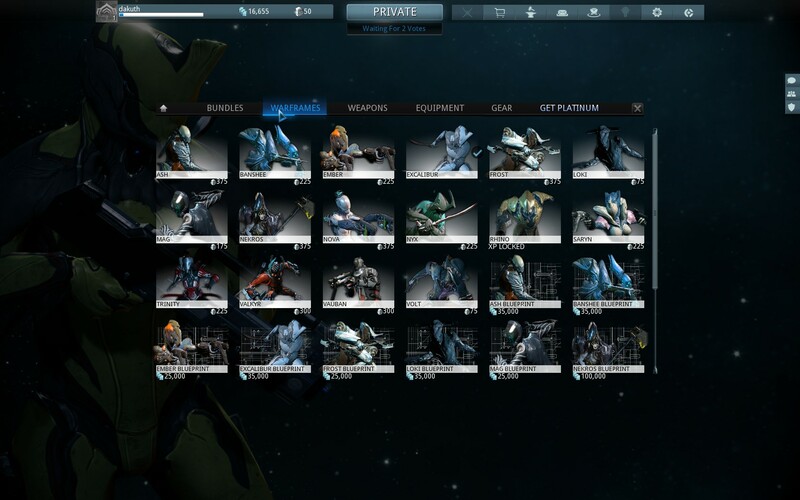 The upgrade system involves individually leveling your warframe, as well as your primary, secondary, and melee weapons. With levels you can then slot various “cards” in them that gives any number of benefits. Time will tell if this system is fun and nuanced, but it looks promising. It has succeeded in keeping the all-too-important carrot of “one more level” dangling a nice distance ahead, so far. Leveling your warframe is one thing – but you also have higher weapon levels to look forward to as well. Then, tied into that, is the loot drops. That is to say, you might have the levels on your weapon but that sweet, phat, loot hasn’t dropped for you. Or, conversely, you might have a tasty, tasty mod but not the levels to equip it yet. A slight twist on a classic story. I think ultimately Warframe’s success or failure will hinge on its microtransaction system. You knew it was coming. It is free to play, afterall. There is no subscription service model, that I could see, so everything is funded through microtransactions. I do not know what that entails, yet. Presumably there will be a gate through which I must eventually pay to pass. Lower-quality games will literally put a gate up and to pass through it you have to pay for a key. Most modern games, though, use time as a gate. After a short while the time investment becomes untenable without paying. I usually find this is lifted with a subscription-based model. Something like “100% more experience and money if you have a premium pack. 30 days for $15!” The idea, of course, is that without a premium pack the grind is just unbearable. Having not seen anything like that in Warframe, yet, it may be going the MOBA model championed by (pun intended) League of Legends (but perfected by Heroes of Newerth and DOTA 2.) Basically there is no real restrictions on the game, per se, but to play other classes you need to pay. Also there are tons of cosmetic items which you can earn painfully slowly, or just plonk down a few bucks to get your favourites. For a game that revolves around over a hundred different classes, being restricted to a handful is a powerful motivator.